The time of year has come! 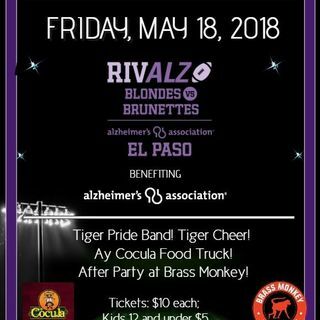 the 2018 Blondes vs Brunettes game to benefit the Alzheimer's Association of West Texas, El Paso Chapter! We talk to Elizabeth Hernandez, who is the Special Events Coordinator for the Alzheimer's Association and Team Captains, Leslie Goldmann of the Brunettes and Nefertiti Duenas of the Blondes. What inspires them to compete, how close are they to their fundraising goal and who should the opposing teams be on the look out for? All this and more on this ... See More Shootout Podcast: 1 on 1!